One bedroom suites are located on the first floor and equipped with kitchenette facilities including hob top, shower / rain showers, quality bedrooms with storage, and living spaces to allow the ultimate overnight or weekend stay. Much more than a home away from home. Our one bedroom suites are more than a home away from home. 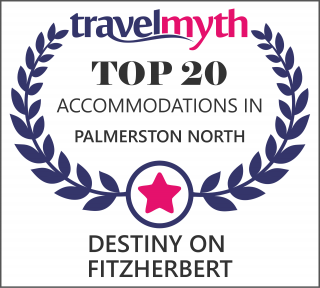 Full kitchen facilities, spa baths or rain showers, and lots of space to ensure a relaxing stay in Palmerston North.